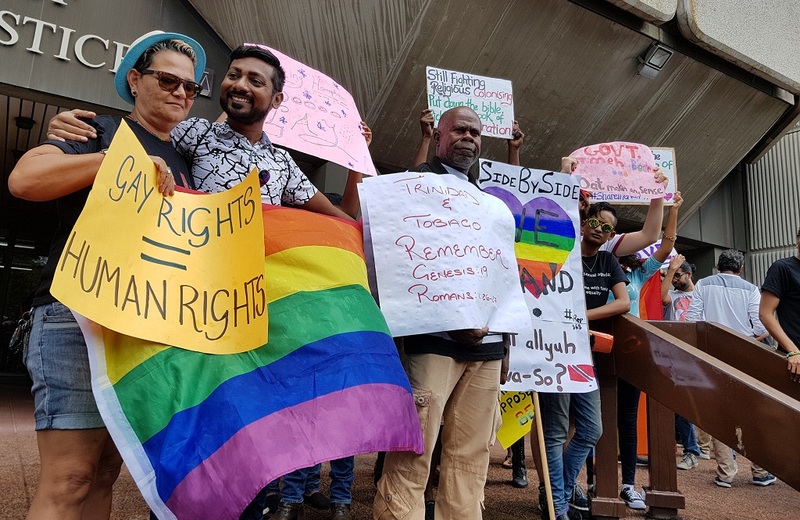 Human rights activist Jason Jones said he is disgusted at a recent meeting held by religious leaders to amend marriage laws against LGBTQIA members. 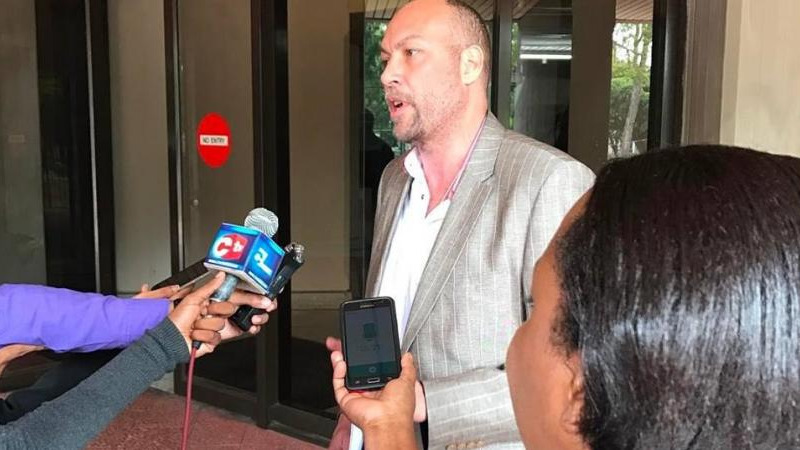 Speaking to LoopTT, Jones, who recently won a landmark case against the State which ruled the country’s current buggery laws as unconstitutional, said the attempts by religious bodies to bar citizens from their constitutional rights is ‘disgusting’. “I’m horrified, it seems that the religious leaders have come together in order to prevent any sort of human rights for LGBTQIA citizens. “But now we’ve found that he seems to be backtracking and it’s very disappointing,” he said. He added that claims made by religious leaders that LGBT persons are protected by law are untrue. “I’m quite disgusted by the Archbishop claiming that LGBT people have protection against discrimination in the workplace, which is a blatant lie. The Equal Opportunity Act expressly denies protection to LGBT people based on their sexual orientation or gender identity, so he’s lying. “I’m disgusted that the Roman Catholic Archbishop sat in a room full of religious leaders and journalists and blatantly lied,” he said. 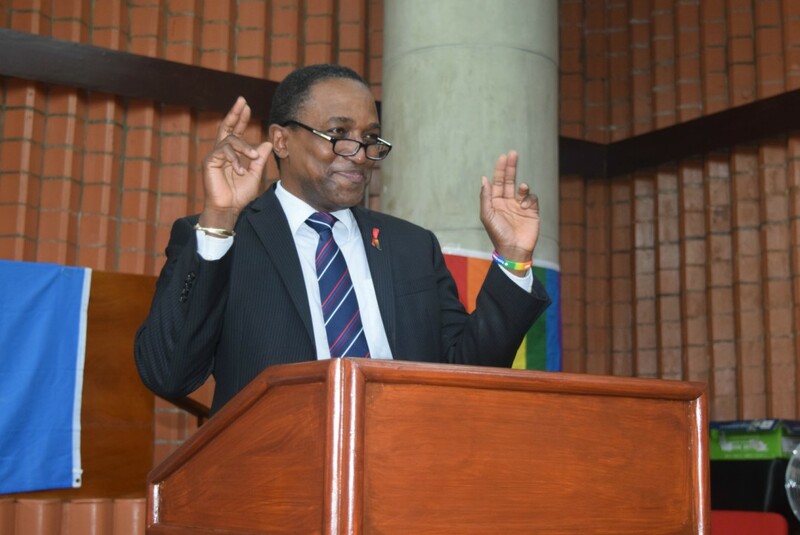 Jones added however that human rights activists should not give up hope, and refuted that there was any agenda on the part of the LGBT community. “I’m very proud of what we achieved on April 12, obviously I’ve been working independently on that litigation. “Today they used the words ‘Western agenda’ and so on, I’m not a Western person, I’m a Trinbagonian, I was born in Woodbrook, grew up in Woodbrook, I went to Newtown Boys School, I went to Fatima College, I’m an LGBT Trinbagonian citizen and I’m quite disgusted that they continue trying to play that there’s an LGBT agenda, that’s an absolute lie, if there’s anyone trying to cause an agenda it’s he, because Roman Catholicism comes from Rome, there’s your Western agenda,” he said. Jones also criticised Archbishop Gordon’s reference to American history which he used to support his anti-LGBT agenda. “It’s very disheartening to hear the language being used by the Archbishop. Particularly the institution of the United States, saying they were good Christian men. If he had checked his history he would have also know that half of those men also owned slaves,” he said. “For him to use slave owners to justify their hatred, it’s really quite shocking,” he said. 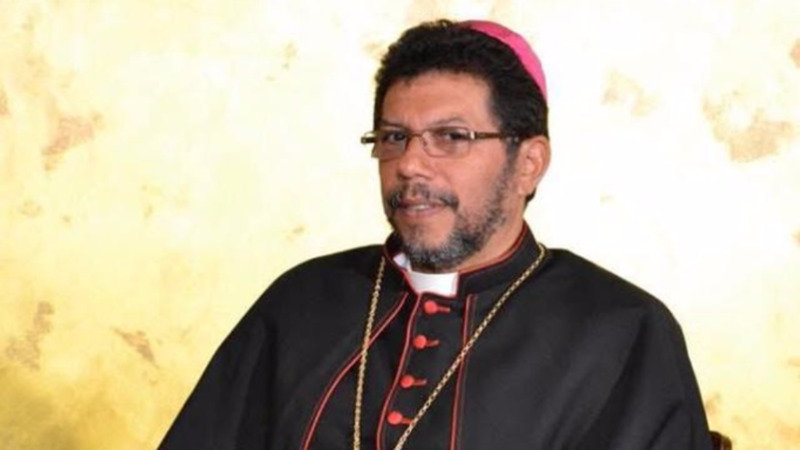 Religious leaders met at the residence of Archbishop Jason Gordon on Monday to discuss a bid to lobby government to prevent any amendment to the Equal Opportunity Act to “accommodate the LGBTQIA issue”. They also seek an amendment to the Marriage Act to enforce marriage as being between a ‘biological male and a biological female'. “We want further that the amendment must be passed by a special majority in Parliament. We also want the government to do this in a timely manner and we are looking at asking them to do this in the first session of the Parliament which would be in September,” the Archdiocese representative said. Religious leaders said the “constant push” by LGBTQIA citizens is a “dangerous agenda that threatens to unravel the fabric of our society”, and is being pushed by “a small group of people, heavily funded with the support of people within our society – lawyers, parliamentarians and judges and so on”. Archbishop Gordon claimed that the idea of gender is not real and accused Trinidad and Tobago of following Western ideals. “Children are born either male or female. The notion of a fluid gender is something that has no biological foundation and is a series of ideas,” he said, adding that gender is “something that is not founded in reality”. “We know that when America sneezes the whole of the Caribbean catches pneumonia...but we are a different society. 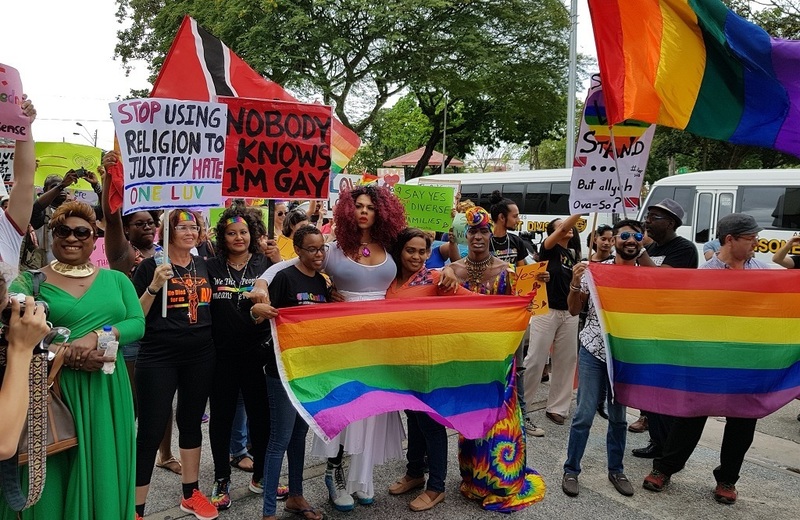 “There are people trying to undermine and whittle away at what most Trinidadians understand by gender by introducing this fluid gender concept. There is an approach to put into our schools a curriculum that we will fundamentally disagree with," he said. The Archbishop also claimed 90 percent of citizens were in disagreement but did not cite the source of his data. “We all agree in terms of marriage and we all agree on what we believe is best in terms of our society,” he said. Religious leaders also claimed that members of the LGBTQIA community have the right to homes, jobs, healthcare and other amenities, although there is no provision in the Equal Opportunity Act that pertains to LGBTQIA members. Attendees at the meeting included head of Anjuman Sunnat ul Jamaat Association (ASJA), Haji Yacoob Ali, Secretary General of the Sanatan Dharma Maha Sabha, Satnarayan Maharaj, Reverend Desmond Austin, Pastor Clive Dottin, and other religious leaders. A ruling by the High Court on April 12, 2018, ruled that Section 13 of the Sexual Offences Act conflicts with the Trinidad and Tobago Constitution. The Attorney General indicated that the State will appeal the ruling.